Clare studied horsey stuff at Royal Agricultural University in Cirencester before deciding to pursue a career in the law via the College of Law, Chester, qualifying as a solicitor in 2009. 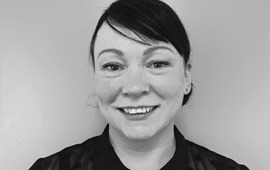 Clare is the partner in charge of our conveyancing department, and she is experienced in all aspects of residential property matters including more complicated leasehold purchases and equity release mortgages. She also works closely with our family solicitor, Kirsty Dance, when transfers of equity and remortgages are required following divorce or separation. As resident Irish Scouser, Clare’s secondary responsibility is keeping the banter in the office at an acceptable level.